Hello @singhnsk, I don't seem to find an option to choose Nokia 8 from the drop down menu, doesn't it support the unofficial bootloader? Hi @singhnsk , well basically after 1 month from when I bought the phone and exactly when I upgrade the Android to Oreo 8.0, I noticed that the wifi switcher stopped responding, so I was like should I downgrade or something? 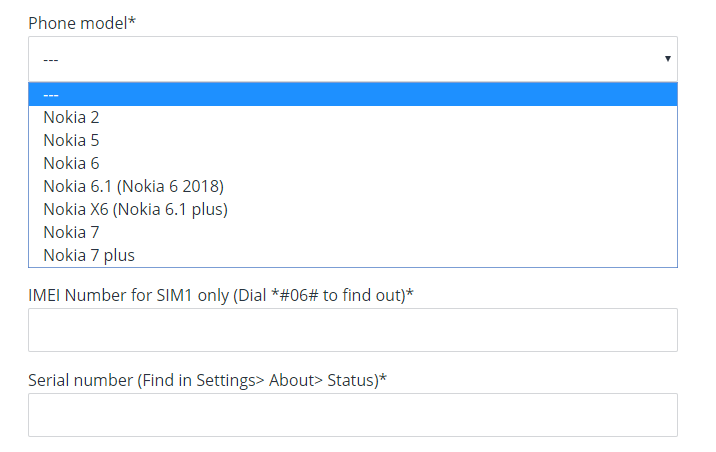 and I wasn't aware of the fact that it was just an upgrade issue, since it didn't come right away, so I started diving into the Nokia 8 flashing forum and read about the tools provided at that moment and I happened to use the OST tool, at first I've downgrade to 7.0 then try to upgrade to 8.0 but with no success, the same issue still causing errors, and that alone starts to frustrating me since being able to connect to the internet is something I cannot just close my eye on, so I happened to find a thread about a new OTA zip, I'm not sure if it was the June patch or the August one, all I remember is that once I tried to flash it using the traditional recovery mode it stops working, and then after awhile of butchering the phone and trying different versions of nb0 using OST tool v6.0.4 and v6.1.2, I have officially brook my phone and right the only thing I see over and over is the download mode screen with the "POWERED BY android" in the center, right know it will hit approximately 4 months, so I started loosing interest in fixing until I got the fastboot working again by accident, and I'm hopping I can fix my phone by your help!